Vista House is a historical stop that is a must see along the Columbia River Historical Highway. Perched on a cliff you get an amazing view of the Columbia River Gorge from the 99-year-old building. Majestic! It’s the only word to describe Crown Point capped by its venerable Vista House.As Lancaster described it, the Crown Point promontory was the ideal site for “an observatory from which the view both up and down the Columbia could be viewed in silent communion with the infinite.” Such an observatory would also be a fitting memorial to “the trials and hardships of those who had come into the Oregon country.” And it could “serve as a comfort station for the tourist and the travelers of America’s greatest highway.” He suggested it be known as the Vista House. 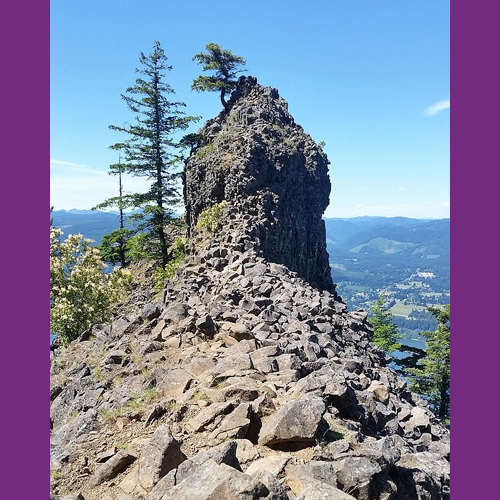 Come climb to the top of Multnomah Falls! This relatively easy hike is the crown jewel along the Columbia River Historic Highway, and its beauty is breathtaking. 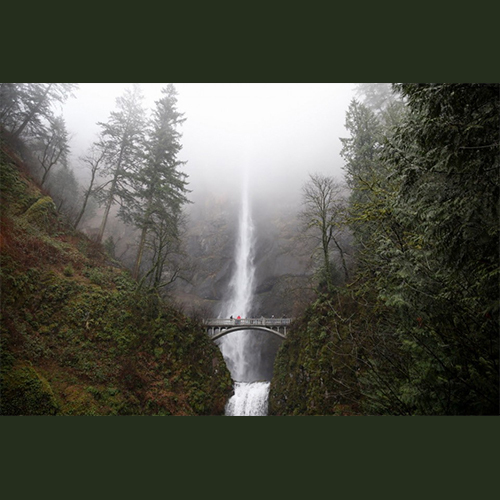 Whether you want to hike to just the historic Benson Bridge or want to walk the 2.6-mile trail as it switchbacks to the top, this is an easy way to spend a beautiful day in the Columbia River Gorge. 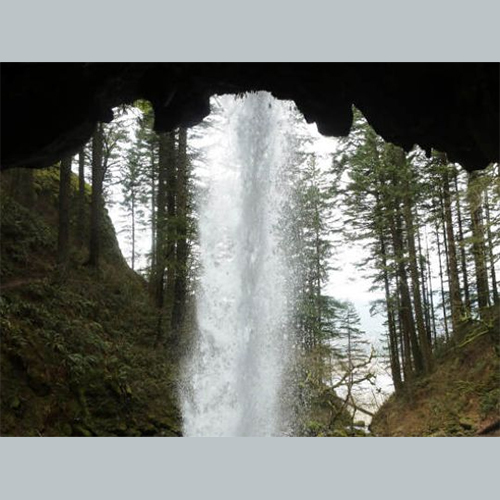 Latourell Falls Loop is a great excursion for the family! The cliffs and water cut rocks all tell a history thousands of years old, waiting for you and your family to experience it. 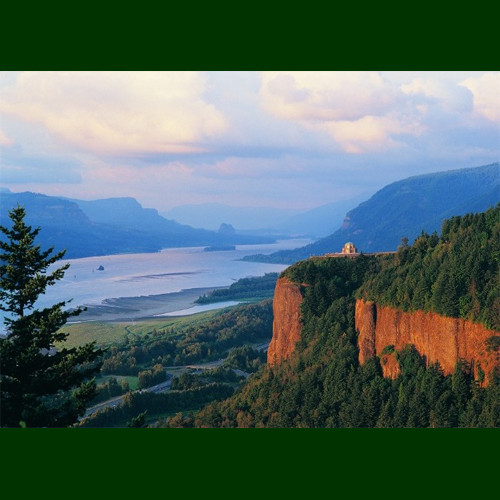 Volcanic activity formed the area millions of years ago, and the great Columbia River carved out the beautiful Gorge that we know and love to this day. Come experience it on this 2.4-mile hike and marvel in its' beauty. Now continue on the other side of the creek back to the HCRH. Once you get to the highway, you can return back to your car by carefully walking on the side of the road. Or better yet, cross the highway and walk down some steps to Guy Talbot State Park. Look for a paved path to your right. Follow this approximately .25 miles, taking you under the HCRH. The bridge, dating from 1914, is interesting in its own right, with special lightweight construction due to the unstable soils in the area. This will return you back to your car. This beautiful trail is great, easy hike for the family this summer! Waterfalls and bridges and beautiful scenery this almost 3-mile hike is a great excursion for the family! 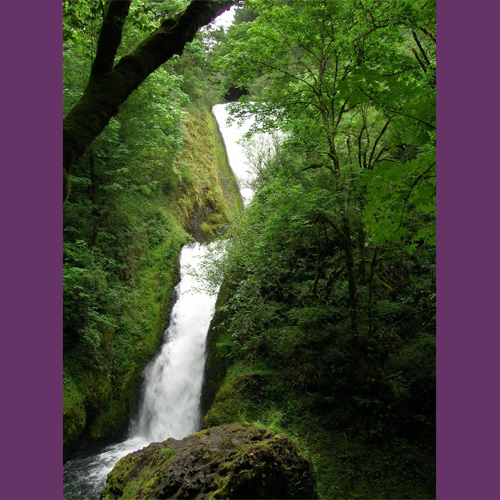 Come see the beautiful Wahkeena waterfall in the Columbia River Gorge! 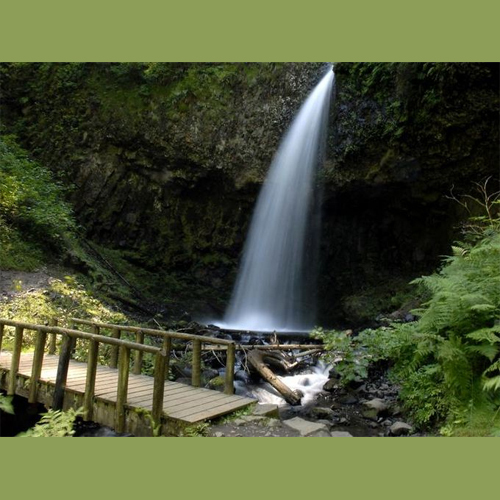 This beautiful trail starts by crossing a wooden bridge over Wahkeena Creek. 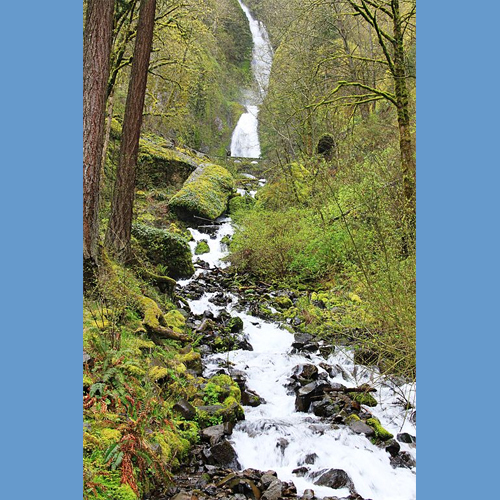 Be sure to head right here; the trail to the left leads to Multnomah Falls. The trail climbs to a stone bridge at the base of Wahkeena Falls, where spray on the trail here is year-round. In the winter, this can get very icy. The trail then starts up a steep section, climbing about 400 feet in half a mile. At the top of this first climb, you'll crest a ridge. Follow the pavement out to the point, called Lemmon's Viewpoint. Return the route you ascended.